Bid D Boat Club at Lake Lewisville- Okay you caught me. This isn&apos;t technically in Frisco, but it&apos;s pretty darn close and only a few minutes down the road. 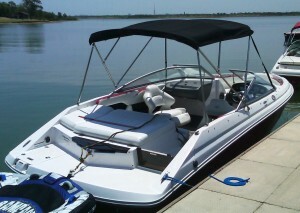 Whether you enjoy water sports like skiing and tubing or a just a leisurely cruise, the Big D Boat Club has you covered. This club is the perfect fit for the lake rats and boat lovers out there who aren&apos;t quite ready to make the official jump into boat ownership. For about 1/3 the costs of boat ownership, you can use their entire fleet of vessels including pontoons, competition, deck, runabout and fishing boats. Just pick the membership level that is right for you! 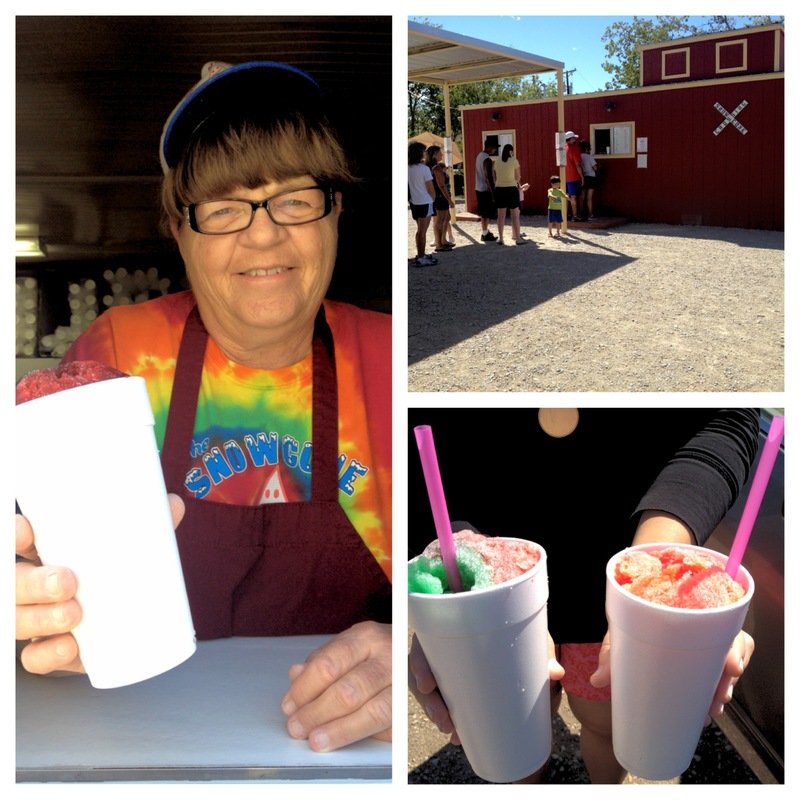 Snowcone Lady- If you haven’t heard of Frisco’s SnowCone Lady you’re truly missing out! Since 1983, this Lady has been slinging some of the most sought after frozen, sweet deliciousness that North Texas has to offer. Located on Elm Street in a red train car, the SnowCone Lady can be seen daily, except on Mondays, whipping up over 60 frozen flavors and concoctions. This is truly a refreshing way to cool off! The Pool- If you have a neighborhood pool, chances are you have been already been utilizing it heavily this summer. But if you don&apos;t have access, you don&apos;t have to miss out! There are a couple options you can turn to in the Frisco area. 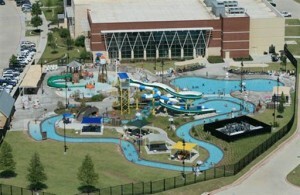 The Frisco Athletic Center offers watery indoor and outdoor amenities for the whole family with lap lanes, water slides, an activity pool, and children&apos;s play structure. Another pool option in Frisco is the indoor FISD Natatorium. For $2.50 per adult and $1.50 per children, this pool is open all year round! 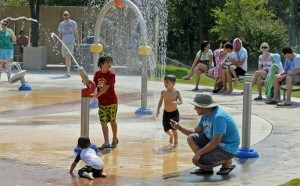 Splash Parks- A spray ground is a flat play area that features mounted and ground level structures that spray water. They really take playing in a front yard sprinkler to a whole other level. 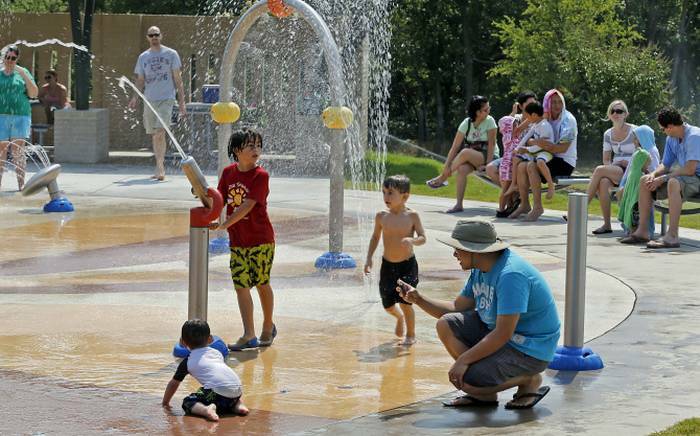 The spray park at Frisco Commons Park is a park that uses a recycled water system to keep you and the kiddos cool! Open daily from 8 a.m. - 8 p.m until September 29 so head over to cool off today! What are you doing to keep cool through the Frisco heat? I&apos;d love to hear about it so drop me a note.